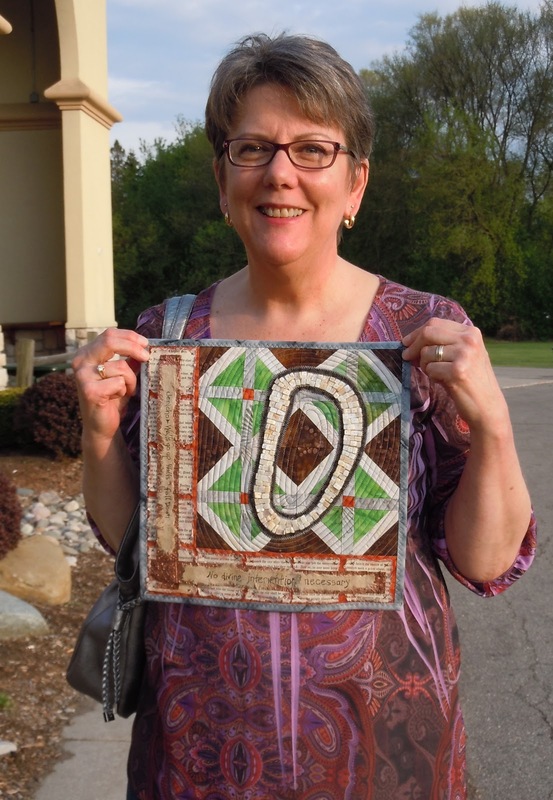 Recently Quilting Arts Magazine did a feature article on Twelve By Twelve, the International Art Quilt Challenge Group. Twelve women, four years, new challenge themes every few months = a collaborative effort that resulted in an impressive exhibit and published book. (I was lucky enough to see their work in Cincinnati last week). This was my quilt, from a photo I took and printed on fabric. I painted on the image, pieced the borders, and quilted it. Kind of simple but I was fairly happy with the result. Mostly I was glad to use my fabric paint for the first time, try out my new stitch regulator, and have a finished project! Candy’s thoughts: My quilt, titled Jericho, developed out of my interest in archaeology and my deep dislike of the deity depicted in the bible. 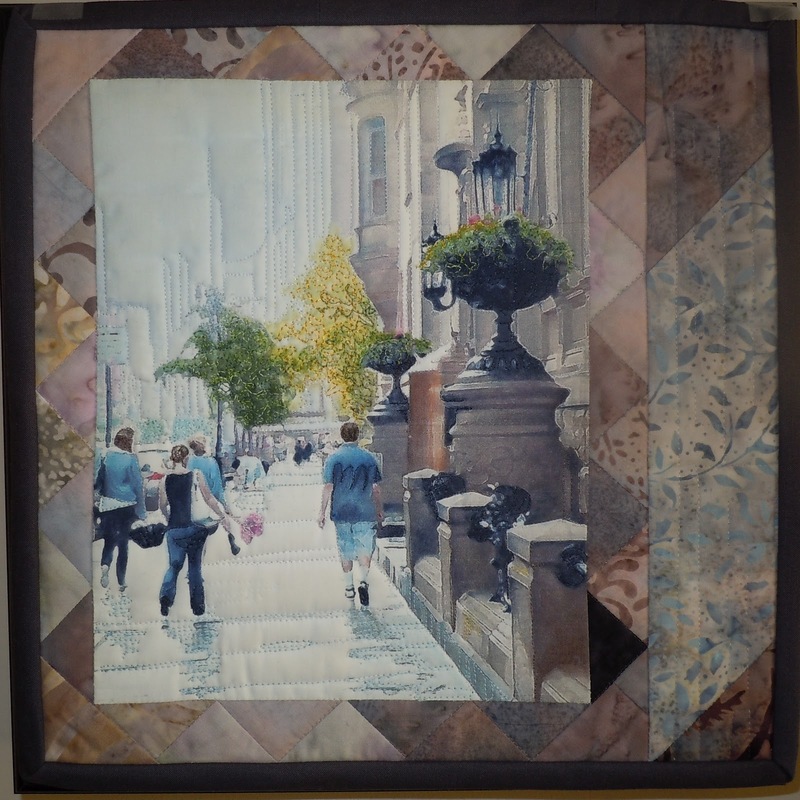 When Ellen and I discussed “cities” as the theme for our first 12 x 12 quilt I immediately thought of Jericho because it’s one of the oldest continuously inhabited cities in the world, and once Jericho popped into my mind the bible story of how the “wall came tumbling down” wasn’t far behind. 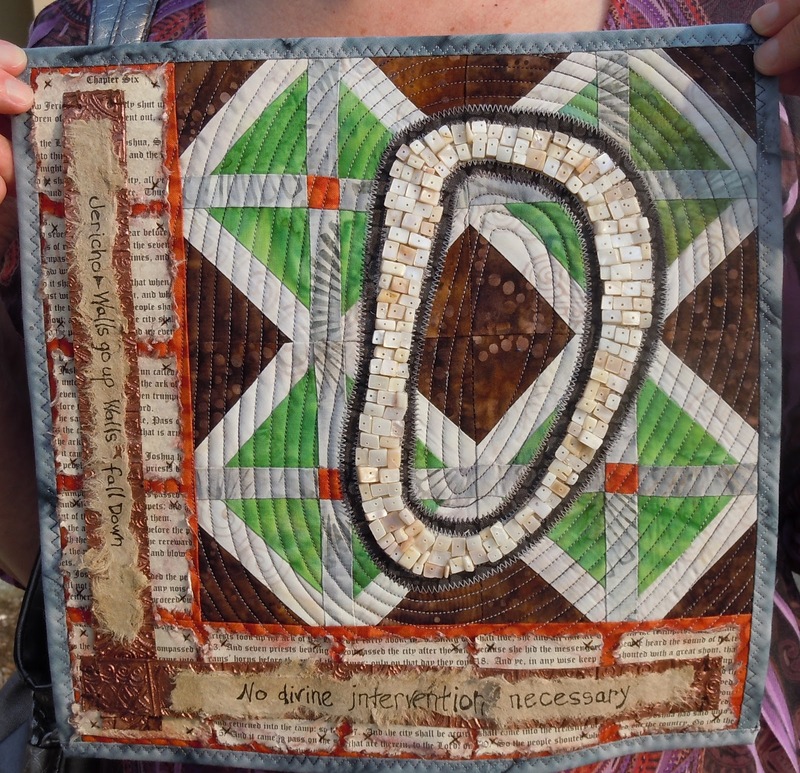 The quilt block, titled Wall of Jericho, pattern found on the internet, is paper pieced. The outline of the wall of ancient Jericho is covered with shell beads. Verses from the Book of Joshua (OT) are printed onto handmade bark paper then covered with embossed copper foil. Working on this project was so much fun. My mind is already racing with ideas for our next 12 x 12 challenge.